Thanks to the Daniel Bravo Andreu Private Foundation, a new Cystic Fibrosis Unit has now opened at Vall d’Hebron University Hospital. Patient-centred consultation: To treat a disease like cystic fibrosis, which needs multidisciplinary care, the wellbeing of patients requires absolute coordination among specialists. Under the new system for consultations, the doctors and nurses go to see the patient, rather than the other way around. Segregation of paediatric and adult patients: One of the main challenges facing the Cystic Fibrosis Unit is to prevent cross-infection between children and adults. 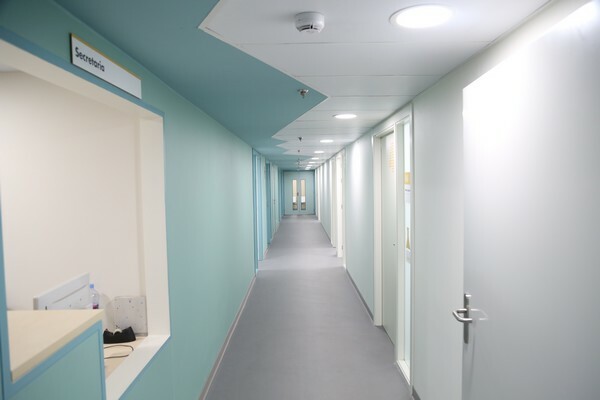 For this reason, consultation facilities are organised along two parallel corridors, one for children and the other for adults, separated by a central area where the specialists who treat both work. The new unit is on the same floor as the previous one, but the space has been tripled and designed with a view to making patients and their families feel more comfortable. Moreover, the new spaces and equipment improve day-to-day conditions for hospital workers wh ile also enabling good coordination in the transition of the paediatric patient to adult patient. 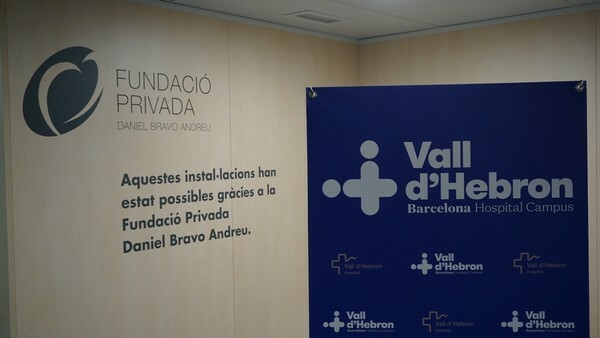 The Daniel Bravo Andreu Private Foundation also provided for the establishment of new offices for conducting tests both on children with cystic fibrosis and other paediatric patients, such as children with ciliary dyskinesia, Crohn’s disease, cardiac malformations and so on. At these modern facilities, paediatric patients are partially sedated to prepare them for examination using state-of-the-art technological equipment (mainly bronchoscopes and digestive fiberscopes). Cystic fibrosis is an inherited disorder that affects the lungs, digestive system and other organs in the body by altering the correct functioning of cells that produce mucus, sweat and digestive enzymes. As a result, the body’s secretions, which are usually thin and slippery, become thicker. Instead of acting as a lubricant, these secretions can obstruct the air ducts in the lungs, prevent the movement of pancreatic enzymes into the small intestine or obstruct the bile ducts in the liver. The Daniel Bravo Andreu Private Foundation supports outstanding initiatives that generate a positive impact on patients, their families and society in general. The Foundation worked with the Vall d’Hebron University Hospital to make the new Cystic Fibrosis Unit a centre of excellence for treating the disorder. Through this initiative, the Daniel Bravo Andreu Private Foundation demonstrates its support and focus on the treatment of rare diseases.